Just after Utena's parents died she was consoled by a prince who gave her a ring with a rose crest on it. Utena was so impressed by the Prince that she vowed to become one herself one day. A few years later Utena is attending Ohtori Academy where she gives all the teachers headaches because she dresses in a boys uniform so she can be like the prince she met long ago. After Utena's friend is insulted by a member of the Student Council, Utena fights in a duel for her friends honor. 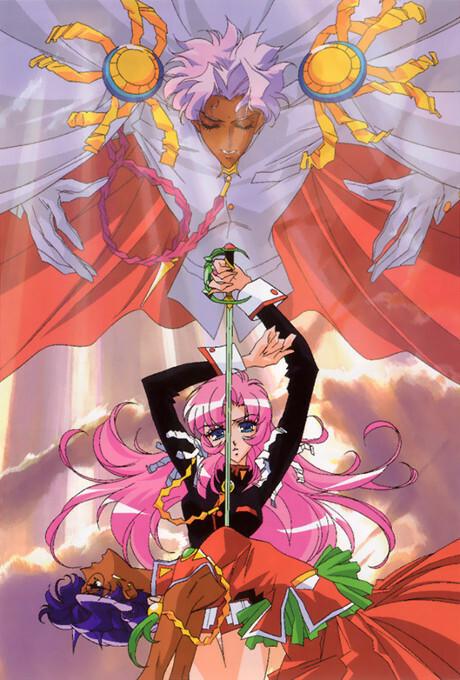 Utena's rose crest allows her to enter the dueling arena where Utena wins the duel and becomes engaged to the Rose Bride. Unknowingly, Utena is pulled into a series of duels with other members of the Student Council for the possession of the Rose Bride. As she becomes fond of Anthy, the Rose Bride, she must fight to keep her friend safe and to discover the horrifying secret behind Ohtori Academy. One of the most important anime ever made, but it's not flawless.